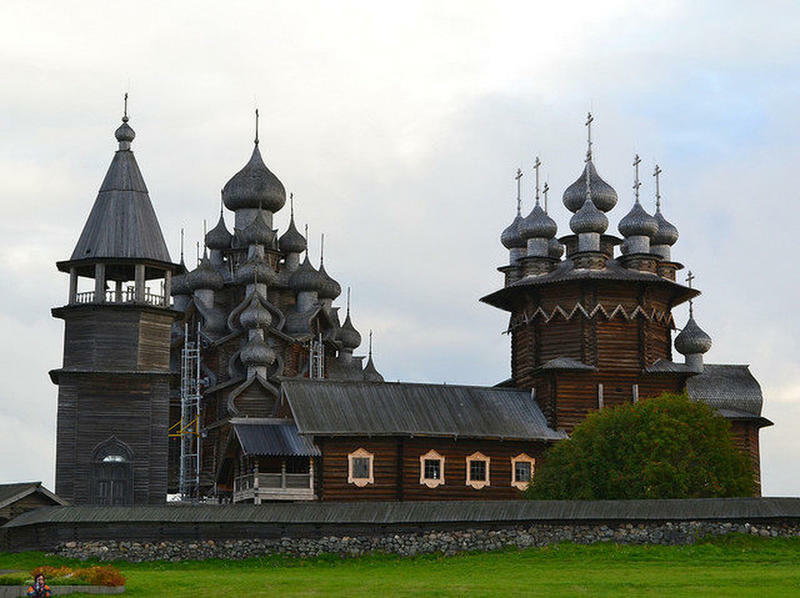 Russia’s Kizhi island is popular for many historical wooden buildings that were moved to the island from various parts of Karelia for safety purposes during the 1950s. 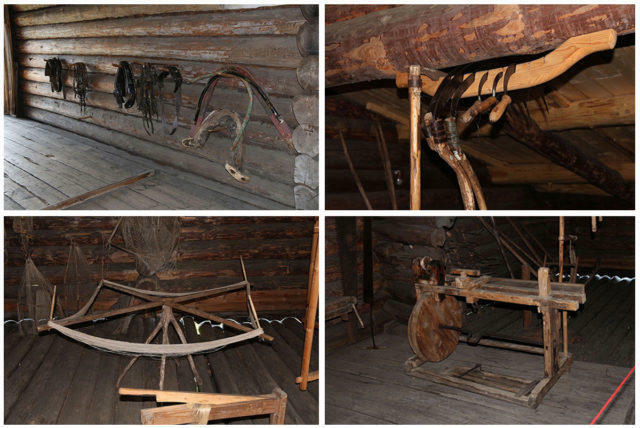 Recently, the whole island as well as the nearby area form an incredible national open-air museum with greater than 80 historical wooden structures. 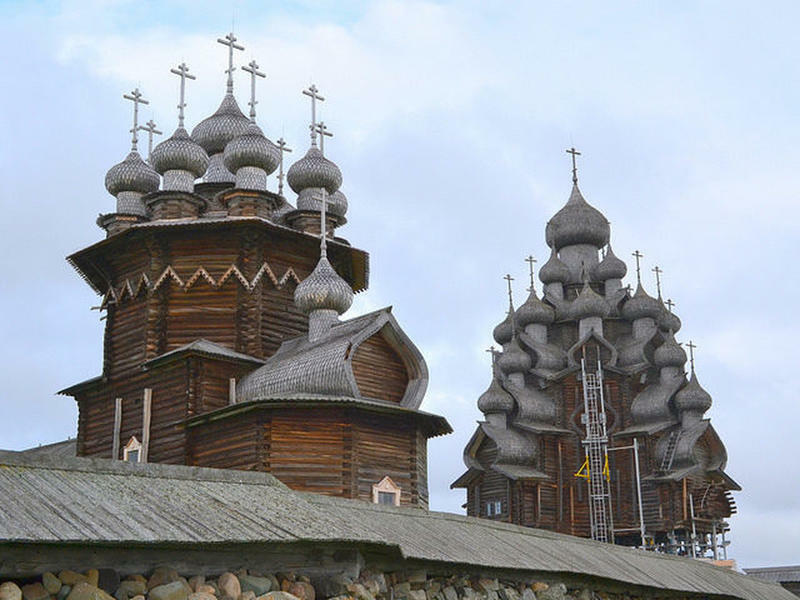 A view of the church of the Transfiguration, the Bell Tower and also the Church of the Intercession-Kizhi Pogost. 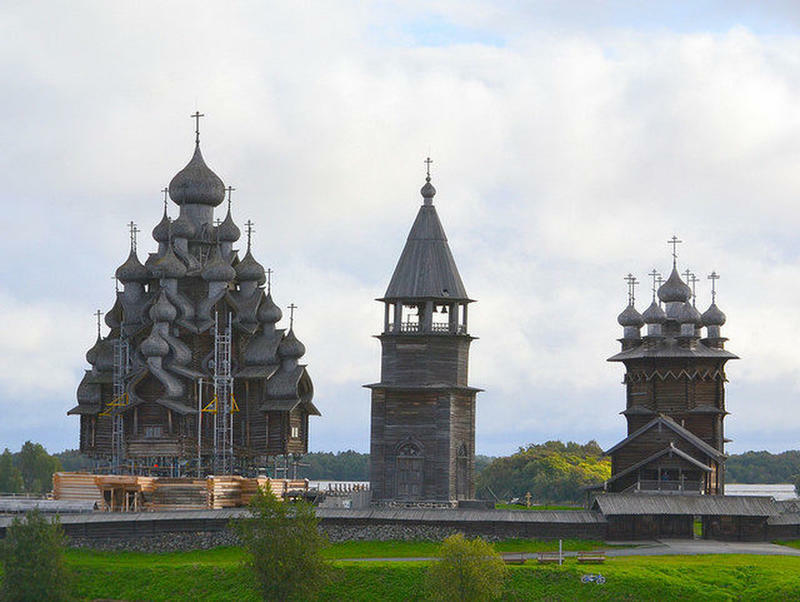 Among them, the most famous is the Kizhi Pogost, a gorgeous UNESCO World Heritage site which contains a trio of some ornate 18th-century church buildings made completely of wood. By 1990, it was among the UNESCO list of World Heritage sites. 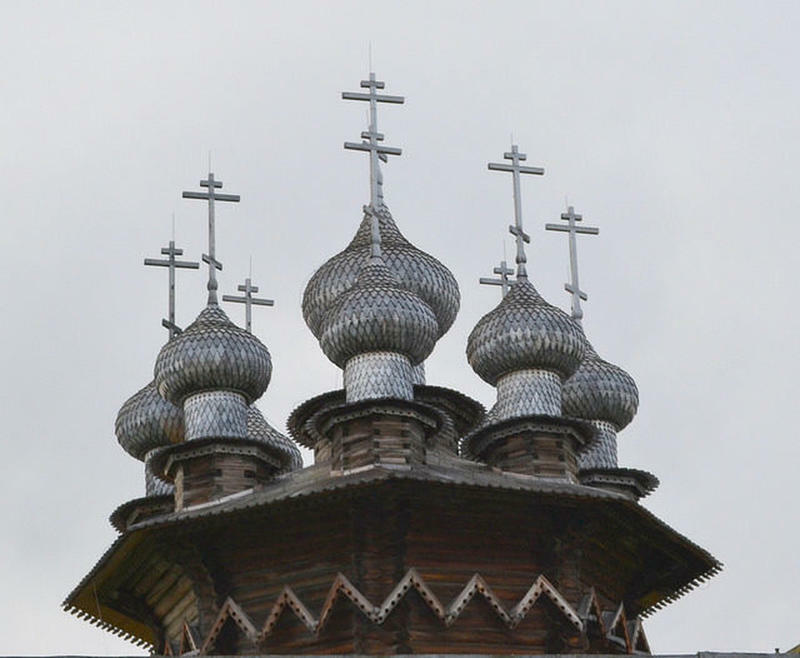 Then by 1993, it was listed as a Russian Cultural Heritage site. 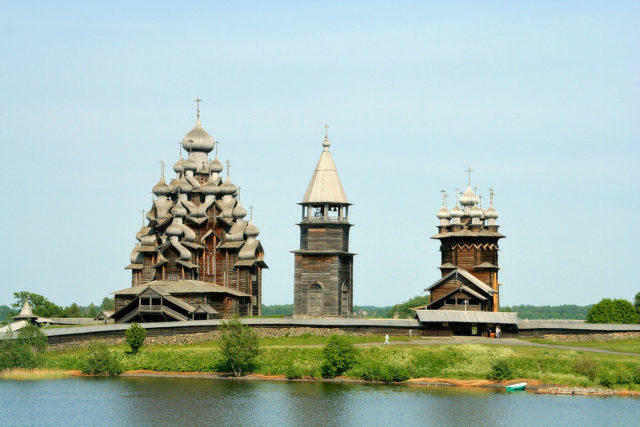 These unusual buildings, the two wooden churches (one is the 22-dome Transfiguration Church and then the 9-dome Intercession Church) and the octagonal clock tower, where carpenters created a bold visionary design, perpetuate an ancient replica of parish space and also in harmony with the landscape enclosing it. Both buildings are made from combined pine, spruce, and aspen wood. 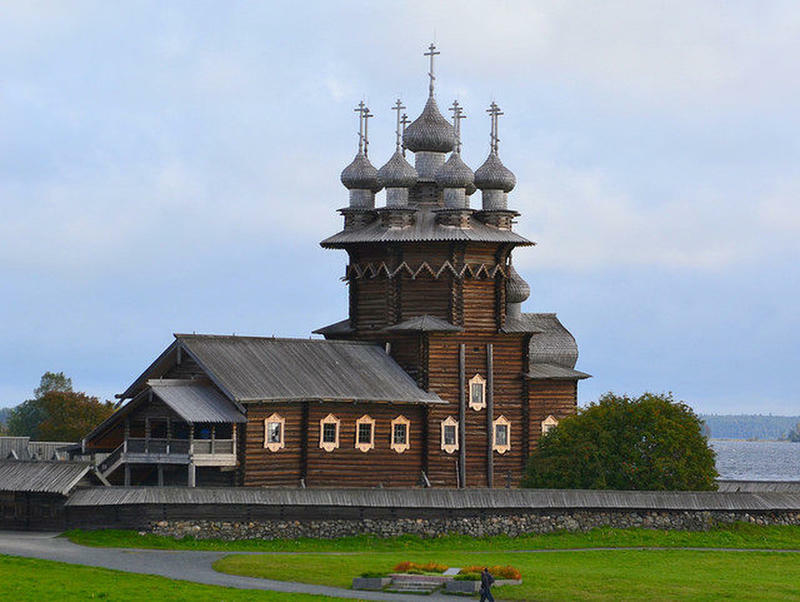 Built in 1714, the Church of the Transfiguration of Our Lord is a famous and most outstanding construction of the whole ensemble. It was rebuilt on the same site of the old one which was burnt down by a lightning strike. Fancily decorated, it features 22 domes and reaches 121 feet in the air. Several thousands of logs from the mainland were brought for the construction which is a complex logistical work back then. 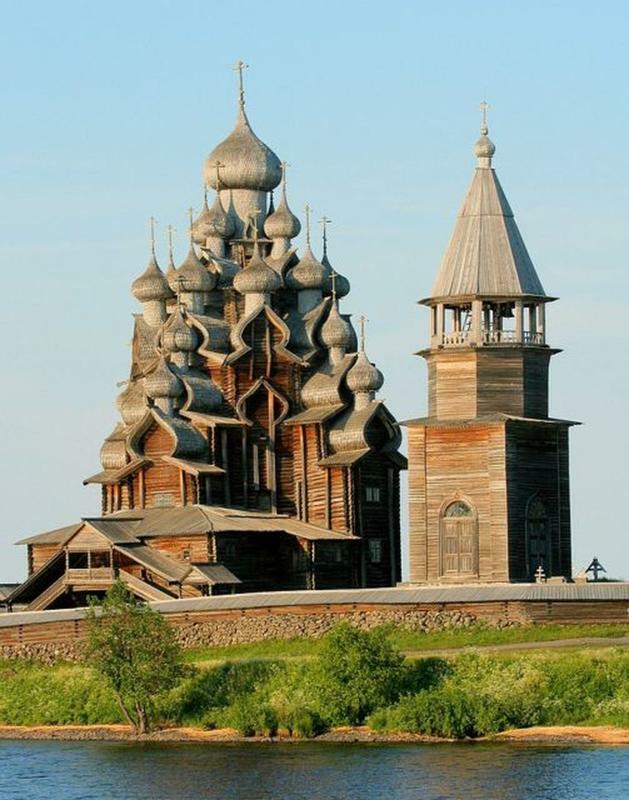 It was also constructed according to the best Russian carpentry custom— without a single nail. A legend was known that the main builder, for the whole construction used only one axe, which upon completion was thrown into the lake, uttering the words, “there was not and will be not another one to match it”. 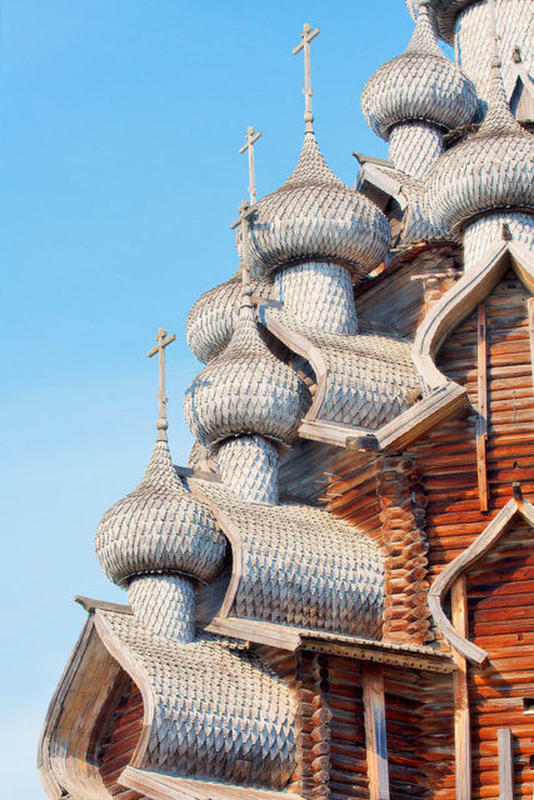 The church was made using interlocking wooden joinery rather than nails. 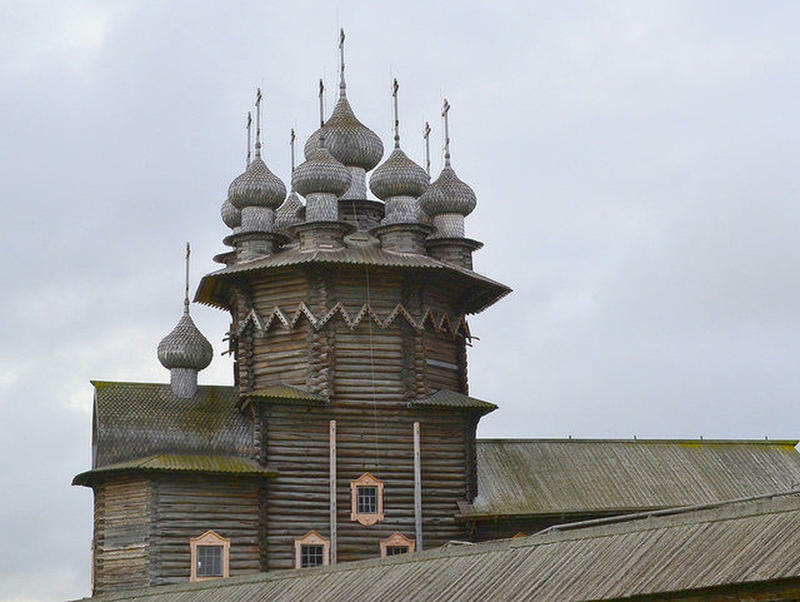 The Church of the Intercession was constructed in 1764, providing an exquisite visual complement to the ensemble. This remarkable nine-domed church is 105 feet tall and sits comfortably regarded as one of the taller wooden architectures in the world. Eight domes of the church surround the ninth one which was at the center. An image of the Church of the Intercession of the Virgin. Most wood used is pine with spruce planks on the flat roofs. Each dome is composed of hundreds of diamond-shaped wooden tiles that is layered together to create the bulbous shapes. The original bell-tower swiftly deteriorated and was reconstructed in 1862, and in 1874 and 1900 it was further restored. At the beginning of 1929, bell-ringing was not allowed throughout the Soviet Union. The bells of the Bell Tower kept silent for almost 60 years, until 1989. 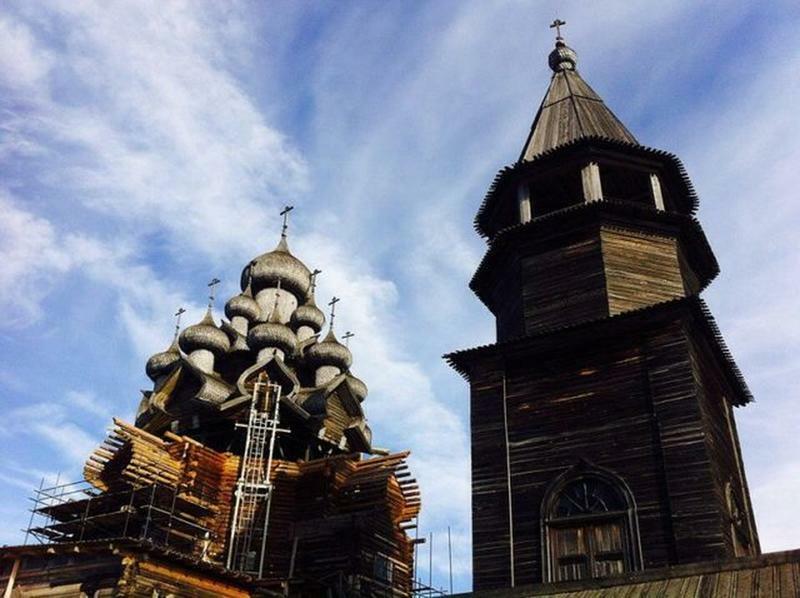 Currently, there are twelve active bells within the Bell Tower of the Kizhi Pogost: having nine old and three modern.